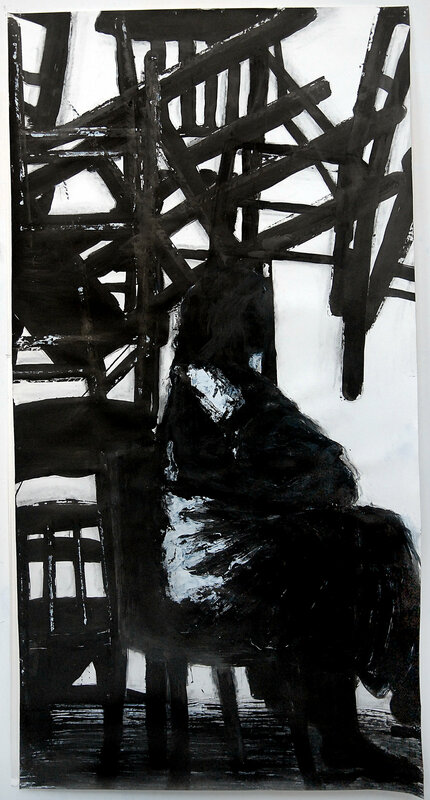 Wandering in the Land of Oblivion is a series of large-scale black and white works on paper representing figures in movement, performing gestures of human work and labor. Aguirre explores the possibilities of emancipation and reclamation through small acts of creation that resist the oblivion and dehumanization brought about by the hardships of displacement. Her work references thousands of her compatriots who have been forced to move due to the Colombian narcotics war and civil conflict. 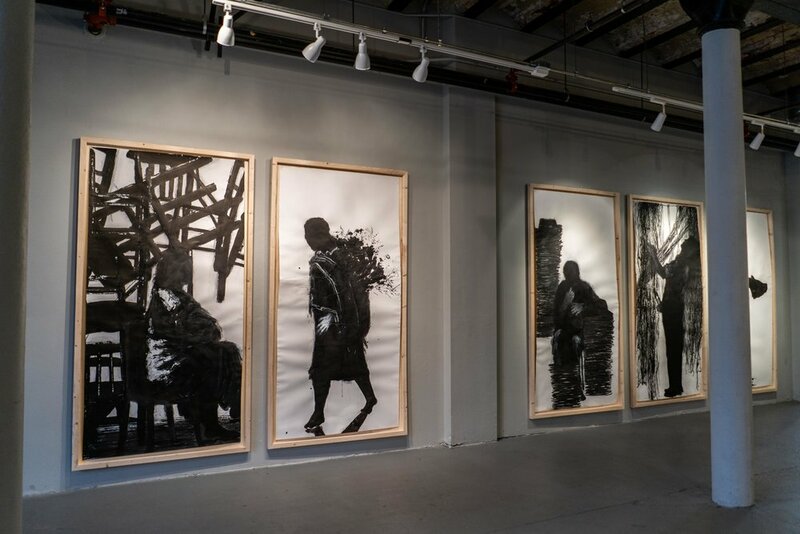 While her exhibition was on view, Aguirre will lead a Youth Project with Urbano Youth Artists around the theme of human migration and displacement focusing on art making as an act of individuation and remembrance.